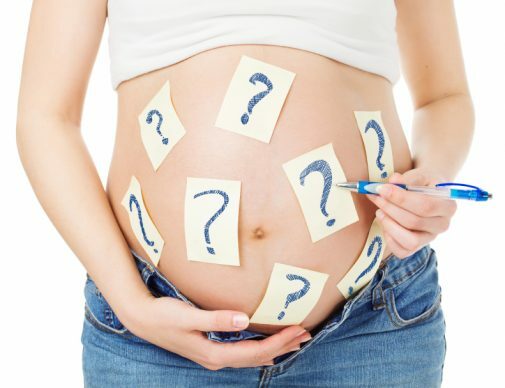 Home / Pregnancy / Am I pregnant? Pregnancy was the third-most Googled health condition behind Ebola and the flu last year, but if you search “Am I pregnant?” on the Internet, you may not be able to find an answer very quickly. Dr. Miller recommends women who have missed a menstrual cycle take a pregnancy test one to two weeks after their missed cycle. If a woman is experiencing vaginal bleeding, similar to a menstrual period, Dr. Miller cautions it doesn’t mean she isn’t pregnant. First trimester bleeding can be caused by impending spontaneous abortion (miscarriage) to implantation bleeding or vaginitis. “Most causes are benign, but it is important to speak with your physician’s office regarding your concerns,” she says.